Blood pressure (BP) is the pressure of the blood in the vessels, especially the arteries, as it circulates through the body. It is usually expressed in terms of the systolic pressure (maximum during one heart beat) over diastolic pressure (minimum in between two heart beats) and is measured in millimeters of mercury (mmHg), above the surrounding atmospheric pressure (considered to be zero for convenience). Arterial blood pressure is usually measured by means of a sphygmomanometer and reported in millimeters of mercury as a fraction, with the numerator equal to the blood pressure during systole and the denominator equal to the blood pressure during diastole. For a normal reading, our blood pressure needs to show a top number (systolic pressure) that’s between 90 and 120 and a bottom number (diastolic pressure) that’s between 60 and 80. The American Heart Association (AHA) considers blood pressure to be within the normal range when both our systolic and diastolic numbers are in these ranges. Blood pressure readings are expressed in millimeters of mercury. This unit is abbreviated as mm Hg. A normal reading would be any blood pressure below 120/80 mm Hg and above 90/60 mm Hg. The relationship between BP and risk of Cardiovascular Disease Risk (CVD) events is continuous, consistent, and independent of other risk factors. The higher the BP, the greater the chance of heart attack, HF, stroke, and kidney diseases. 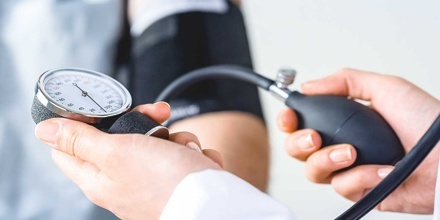 Disorders of blood pressure control include: high blood pressure, low blood pressure, and blood pressure that shows excessive or maladaptive fluctuation. High Blood Pressure – High blood pressure is often related to unhealthy lifestyle habits, such as smoking, drinking too much alcohol, being overweight and not exercising enough. 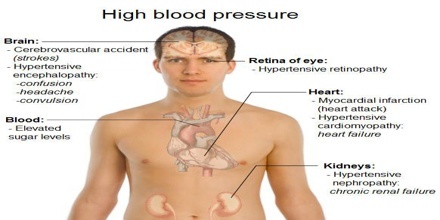 High blood pressure (hypertension) is one of the most important risk factors for CVD. 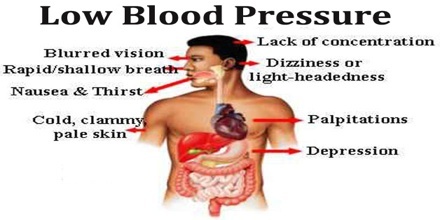 If our blood pressure is too high, it can damage our blood vessels. Left untreated, high blood pressure can increase our risk of developing a number of serious long-term health conditions, such as coronary heart disease and kidney disease. Low Blood Pressure – Low blood pressure is less common. Some medications can cause low blood pressure as a side effect. It can also be caused by a number of underlying conditions, including heart failure and dehydration. Fluctuating Blood Pressure – Normal fluctuation in blood pressure is adaptive and necessary. Fluctuations in pressure that are significantly greater than the norm are associated with greater white matter hyperintensity, a finding consistent with reduced local cerebral blood flow and a heightened risk of cerebrovascular disease. 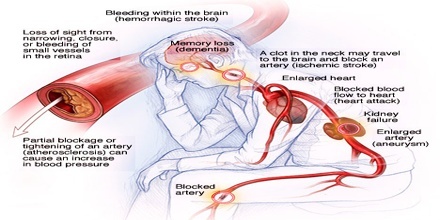 Within both high and low blood pressure groups, a greater degree of fluctuation was found to correlate with an increase in cerebrovascular disease compared to those with less variability, suggesting the consideration of the clinical management of blood pressure fluctuations, even among normotensive older adults. Older individuals and those who had received blood pressure medications were more likely to exhibit larger fluctuations in pressure. 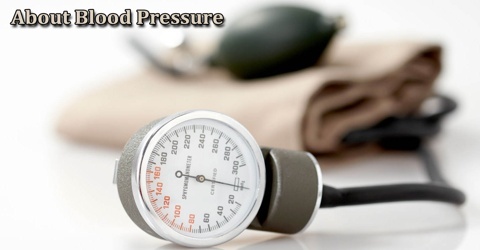 A blood pressure reading above 180/110 mm Hg indicates a serious health problem. The AHA refers to these high measurements as a “hypertensive crisis.” Blood pressure in this range requires urgent treatment even if there are no accompanying symptoms. However, sometimes a high reading can occur and then our numbers will return to normal. If our blood pressure measures at this level, our doctor will likely take a second reading after a few minutes have passed. A second high reading indicates that we will need treatment either as soon as possible or immediately depending on whether or not people have any of the symptoms described above. Reference: healthline.com, dictionary.com, nhs.uk, wikipedia.